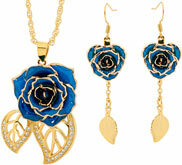 The Eternity Rose provides 'NEXT DAY' FREE SHIPPING for all orders. We use Australia Post/Startrack 'EXPRESS PARCEL SERVICE' for all orders. Orders placed before 11:00am NSW time are generally delivered the next business day. Very remote regional areas may take longer. THE ONLY EXCEPTION IS DELIVERIES TO P.O. BOXES. For Post Office Box deliveries, we are restricted to Australia Post e-parcel which takes 1-7 days depending on where you are in Australia. At present 99.2% of our deliveries are being received the next business day. However, unfortunately we cannot guarantee next day delivery. If you are having your order delivered to a business, you must include the name of the business in the 'Company' field provided on the order page. You will receive a tracking email between 7:00pm and 8:00pm on the day of despatch of your order. If you have not received your tracking email by 8:03pm on the expected day of despatch, then please check your spam filter. If you have not received your tracking email then please feel free to email us at info@eternityrose.com.au or call 1800 861 597. PLEASE NOTE - like all online suppliers who rely on transport systems, we are subject to the vagaries of third-party logistics. Occasional delays can occur due to peak periods or inclement weather, so we recommend that you build in adequate delivery buffer time relative to the importance of your gift occasion. WEEKEND ORDERS are despatched on the following Monday (except for public holidays) and are generally received on the Tuesday. You will receive a tracking email at 7:00pm on the Monday night for weekend orders. 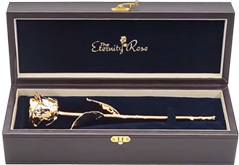 At The Eternity Rose, we understand that gift items should be delivered with maximum speed, and minimum risk of being late, to help ensure the item is available for the intended occasion. 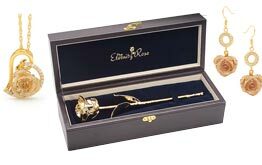 To this end, The Eternity Rose employs the latest technology in order-processing systems to ensure your gift arrives in perfect condition, and within one business day from despatch. Orders placed before 11:00am business days are generally processed and despatched the same day. Orders placed after 11:00am are generally processed and despatched the next business day. At present, 99.2% of orders placed before 11:00am are delivered the next business day. Some remote areas of Australia may take longer. Are there any delivery costs for online orders? No, there are no delivery costs for online orders. We pay all freight costs. We will send you an email at around 7:00pm on the day of despatch of your order, which contains a tracking number and link to track the delivery progress. You can track deliveries here. Our carrier generally requires a signature on delivery of your package. Where convenient, we suggest you arrange for your order to be delivered to your work address. If there is no one available to accept the delivery, a card will be left for goods collection from your local Post Office. In some instances, the carrier may leave the item in a safe place. Yes, we can organise your parcel to be delivered to a Post Box. However, PO Box deliveries outside of metropolitan NSW generally take 2-7 days depending on how far you are from Sydney. What happens if my tracking number does not appear in the tracker, or has remained in the tracker for more than 4 days? You may contact Startrack here. Yes, we can deliver to most countries. If your country is in our drop down country list on the order page, then you will enjoy free shipping to that country. 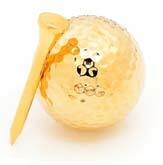 All international deliveries are sent via DHL and include payment of local duties and taxes. 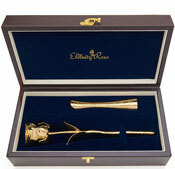 This allows a gift to be sent overseas door to door, without the recipient having to be involved with any customs issues or expense. International delivery time is generally around 3 days. You can track international deliveres here. 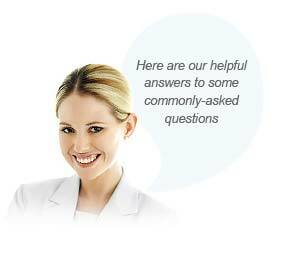 Please do not hesitate to contact us with any questions relating to delivery.